Disclaimer: This is a summary of the book and not the original book. Losing weight and staying healthy is not only a battle of wills but also a war against your genes. Can you outsmart them? 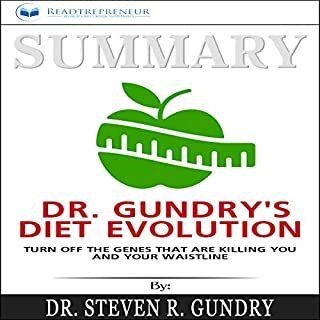 With Dr. Gundry’s Diet Evolution, it’s extremely doable. With Dr. Gundry’s Diet Evolution, you will have a winning chance to lose weight and stay healthy. This title debunks many of the dieting myths out there about what’s good and bad for you. Disinformation is one of the most common causes of an unsuccessful diet. It has been a life changer for me. Started taking suggested supplements, not his brand but he makes many recommendations to other companies too.I feel so much better. Hoping to lose weight too. Sleeping better, skin issues are healing too. Master stoicism in no time! This philosophy is not something you just read about, but put into practice in your daily living. Learn how to effectively master your emotions, find eternal bliss, peace of mind, and learn the secret to true lasting happiness beyond human conditioning. The ancient philosophy of stoicism has stood the test of time and we can see its influence and manifestations in many religions worldwide. If you want to transcend the human condition and go beyond the world's materialistic and superficial meaning of life, give this book a listen! This book provided very helpful tools. Enjoyed it. I have received all that I required and got a better knowledge. 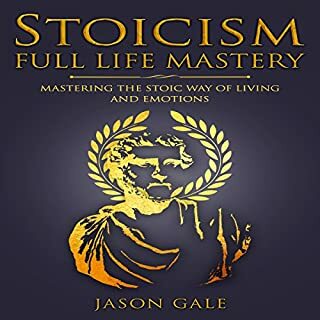 It is well detailed and packed with wisdom and way of life of stoicism. If you desire to learn more about this, then you must grab this book and you will be in a better place. Explore the Hindu religion with its fascinating rituals and history! 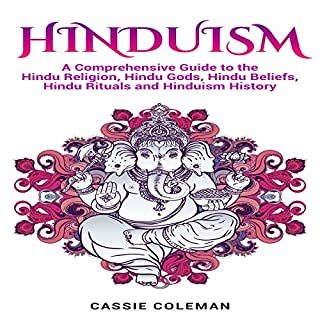 This audiobook has eye-opening information about Hinduism that will help you to understand the religion, gods, beliefs, and rituals and how the religion has evolved over time. You will discover more than you ever imagined exists in Hinduism, and by the end of this audiobook, you’ll know a lot about a religion that has over one billion followers worldwide. Attractive, good information. Easy to grasp and understand, some of the basic beliefs and practices. Very helpful if you're making your first visit to a Hindu Temple. Wish I'd had it before I made mine. Thanks to the Author.